Channeling the healing songs of the Master and Angels, Penny brings through vibrations that are in alignment with your intentions and your Highest Good. These are sung directly into the crystals, making them directly available to you as you work with your crystal from an open and loving heart. An Angel Reading is an intuitive reading consisting of loving messages from the Angels, Ascended Masters, and your personal Spirit Guides. These loving and compassionate beings are just waiting for you to ask for their guidance and support! They will help you find the answers that already lie within your loving heart as you move along the path toward fulfillment, peace and joy. Penny was trained by Doreen Virtue in Kona, Hawaii as an Angel Therapy Practitioner. 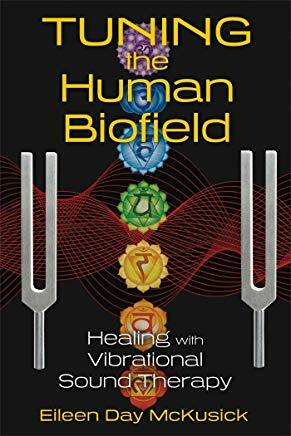 “Biofield Tuning is a simple yet powerful method for shifting the rhythms and patterns of the body’s electrical system.” (Eileen Day McCusick) Using tuning forks to “comb” the biofield, practitioners locate noise and resistance in the field, allowing sound to support the body in recognizing and correcting its own vibrational imbalances. Integrated Energy Therapy is the art of healing with the loving and pure energy of spirit, working at the next level beyond Reiki to detect and release energy blocks formed by suppressed emotions. Using gentle therapeutic touch, Penny will direct healing energy vibrations to specific areas on the body that hold in blocked emotions, releasing and clearing these energy blocks as you rest fully clothed on the table.